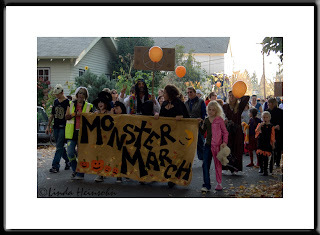 Sellwood-Westmoreland held their annual Monster March on Sunday afternoon. It was quiet the big deal! I'm guessing maybe 500 people gathered in costume to parade through the streets of our Portland neighborhood.